The SBA All-Stars and the US Legends featuring former 5-Time NBA Champion Dennis Rodman, NBA All-Star Tim Hardaway, Fan Favorite Muggsy Bogues, and Three-Point Champions Dale Ellis and Tracy Murray went undefeated during the 3-City European Tour. 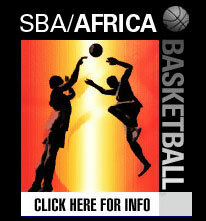 The SBA All-Stars were led by Air Up There / Mr. 720, Hot Sauce, Pat Da-Roc, Air Bama, High Rizer, Mr. Africa, and Da Aggressor who entertained and amazed the sold-out European crowds with jaw dropping handles, tricks, dunks, and alley-oups. Ever wondered what a game featuring veteran Belgian ballplayers playing alongside NBA legends like Dennis Rodman and Muggsy Bogues, as well as streetball dons like Hot Sauce would look like? Last Friday, the people of Belgium — you know, those waffle-eating hobbits living near Brussels — got a taste of this tantalizing matchup. The game which was billed as “NBA star Dennis Rodman Vs. The Belgian Legends” (in Belgium, you become a legend once you get paid to collect bench splinters for some obscure Italian team), was a big deal for our small but proud nation. All of this to say: when a five-time NBA champ makes the trip across the pond, especially one who’s arguably as famous (well, or once was arguably as famous) as Michael Jordan, we roll out the red carpet and break out the champagne. Luckily, The Worm had brought company: an oddball mix of ex-NBA players and streetball stars, who were there to avoid the game turning into what it essentially was — a matchup between graying, forty-year old have-beens with fading tats and no hops. Muggsy Bogues was there, as were Dale Ellis, Tim Hardaway, Tracy Murray, Taurian “The Air Up There” Fontenette, Philip “Hot Sauce” Champion, Kareem “Air Bama” Ward, Anthony “Africa” Pimble, Patrick “That’s Crazy” Robinson and Marvin “High Rizer” Collins. Murray came out the strongest, connecting on three out of five from behind the arc in the first quarter. Muggsy was good, too, pushing the ball upcourt, dishing out no-look passes and hitting a few jumpers. Things only became interesting after the first quarter, in which the Belgian legends had somehow managed to keep up with Dennis & Co (20-21 after one). The streetballers had seen enough airballs and wheelchair-tempo fastbreaks and decided to take over the show. And what a show it was. The Belgian Legends couldn’t but look on as Hot Sauce dribbled them off their feet and Africa, Air Up There and Air Bama posterized them in a series of crazy dunks. In true With Us Or Against Us-fashion, the local team got bombed with off-the-backboard, alley-oop 360s, backward, two-hand slams and slam-bam-thank-you-ma’am tomahawks — with a huge cheer erupting from the 7,500-strong crowd in the Antwerp Sports Palace after each dunk. This was basketball extravaganza at its best. In the end, the ones who had lured us to the Sports Palace didn’t play that much, but what we got in return — seeing basketball at its most spectacular, with talented players dunking, dishing and swishing — reminded us why us Belgian hoopheads get up in the middle of the night to watch the most beautiful game in the world. Even if that involves your countrymen getting dunked on.